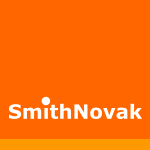 SmithNovak develops high-value, practical and intelligent training events and conferences for key business sectors. Our objective is to offer our audience of business leaders and decision makers the opportunity to exchange ideas, develop solutions and strategies to real problems, make new contacts and participate in informed and impartial discussions about the latest issues, trends and developments. We hold summits in London, Vienna, Istanbul, Amsterdam, Berlin, Prague, Madrid and many more in areas such as NPL deleveraging, Distressed Debt Investment, Corporate Restructuring, Distressed Real Estate and Retail Debt Collections. The Business Information Industry Association (BIIA) is a trade association for providers of a wide range of business information services that assist other businesses to manage growth and to reduce risk. Our members’ services spectrum includes information content, platforms, workflow software, decision systems, compliance and risk assessment tools. BIIA provides a neutral open forum for its members to debate and resolve common issues with users, regulators, government and the public information sector. BIIA advocates a legal regulatory environment that benefits the industry. One of our largest member segments are consumer credit bureaus and credit information companies. BIIA has become an indispensable resource for business information professionals. www.biia.com has become the leading industry portal on business information. BIIA’s database covers industry, company and country news going back to 2005. The BIIA library contains over 6,000 posts with industry announcements, expert opinions, white papers and presentations. BIIA was formed in 2005 in Hong Kong by several leading information content companies and consultancy firms. Our initial purpose was to promote and protect the emerging business information industry in Asia, but our global reach has expanded. Today BIIA has over 60 members and is affiliated with a large number of related industry associations. BIIA also welcomes members from the user community, regulatory agencies and public sector information.